Our Summer Camp Registration and Special Early Bird Promotions will begin in May 2019. Simply register your interest by completing the form on this page to receive our best offers. 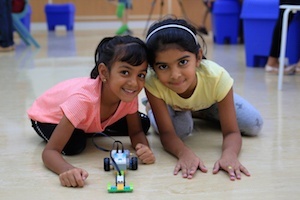 This summer, STEM for Kids will be running a series of Summer Camps designed to develop your child's interest and understanding of the Science, Technology, Engineering & Maths principles using real-world challenges and activities. 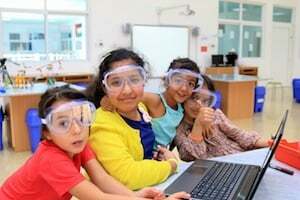 This summer, children (aged between 5 and 11) will have the opportunity to learn a wide variety of Science, Technology, Engineering and Maths based disciplines based on the STEM for Kids learning programs. This holiday, children (aged between 8 and 12) will have the opportunity to learn about the world of finance and money in our latest STEM for Kids program. Why is Financial Education important for kids? Financial literacy is something that many adults across the world fail to grasp and global education systems continue to ignore this important life skill. There's no doubt about it, a young adult with a sound understanding of how finance works will be better prepared for life than someone who has little or no understanding about this important topic. Our Finance for Kids program has been created by our STEM for Kids team with the assistance of business professionals and entrepreneurs. Looking at the world around us - how can we improve this with a new product or service? Our experienced teachers have a wealth of experience in both teaching and STEM related learning and have been trained to US standards. 20% discount for every sibling! Food and Refreshments: Please provide your child with any food and refreshments they may require each day. Food will not be provided by STEM for Kids.